Sparco’s Sport Steering wheel features a flat bottom design, ideal for compact cockpits. The Sport steering wheel is manufactured from a leather effect polyurethane for durability and includes horn button pushes to maximise practicality. 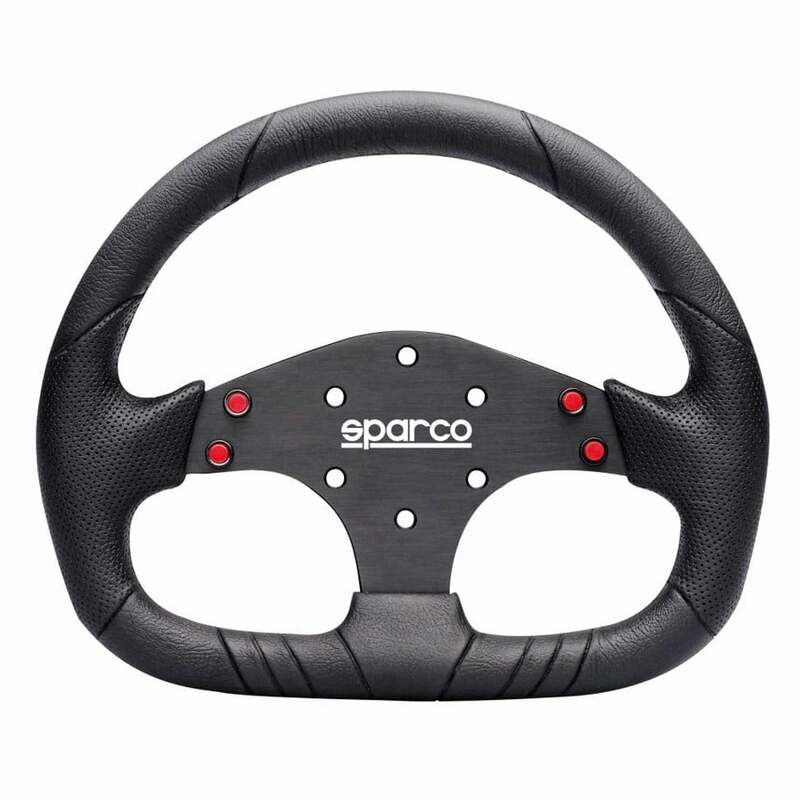 The wheel includes sparco branding on the centre and includes a perforated type grip effect for optimum control. 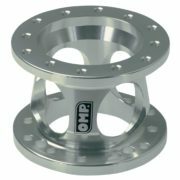 Fits all standard Sparco, Momo, OMP etc type boss kits.